food: dark chocolate pumpkin muffins | eat. drink. fly. this one definitely gets a solid gold star under paleo baking. and can i just veer off for a minute to mention how very much i love having cookbooks on my ipad. it’s awesome and takes us far less space in my bookshelves than regular cookbooks. i’m not sure i can ever go back to hard copy books. anyways. 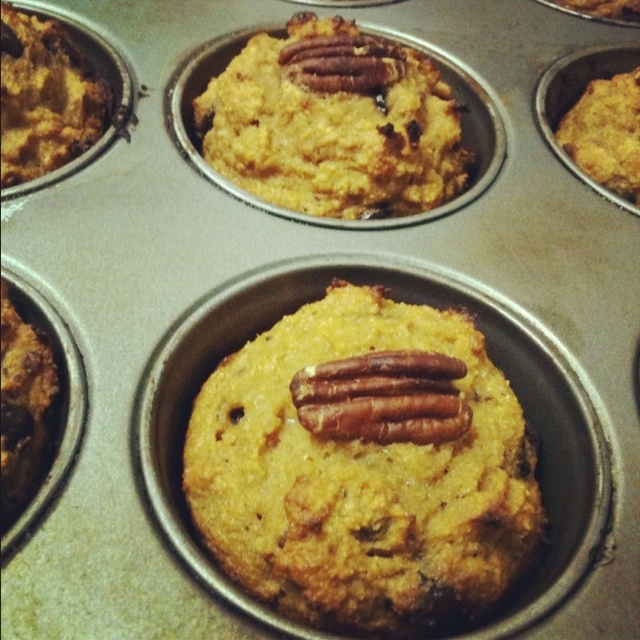 i saw this recipe for Pumpkin Nut Muffins and i thought to myself, yes, i would like to eat that. the biggest thing about paleo baking is that it takes a lot of eggs. not necessarily a bad thing, but it’s weird to wrap your head around cooking with 1/2 cup of flour and 6 eggs. 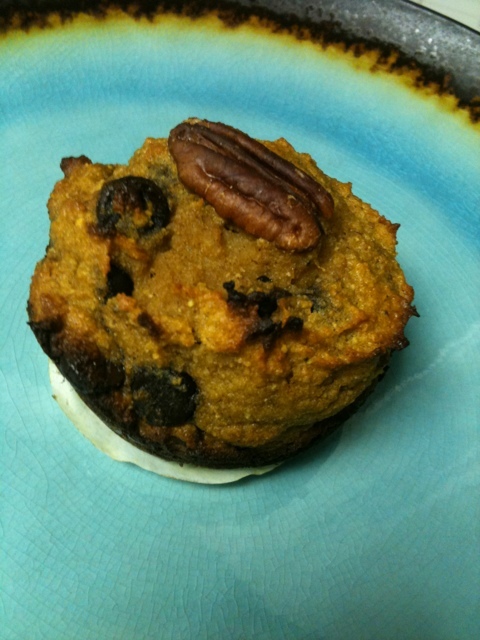 but, it makes for a delicious protein packed muffin that tastes like dessert, but satisfies you like a meal. so without further ado, here’s the recipe as i made it… and since i doubled the chocolate chips, they make the title now. preheat oven to 400. grease muffin tins well. i used a circle of parchment at the bottom to help them remove easier as well. it worked excellently. beat pumpkin puree and add eggs one at a time until well blended. add vanilla, honey and melted butter/coconut oil. mix thoroughly. the end result was far less pumpkin-y than i imagined, but really really good. not crumbly like my paleo brownies were, but a perfect balance of dense and fluffy. great texture overall. they were best right out of the oven (what isn’t?) but i just microwaved a leftover one for a snack and it was still great. even my super skeptical, pumpkin heating husband scarfed one down in short time and declared them tasty. this made for a nice weekend treat and will make a great breakfast for work over the next few days or afternoon snack. now that i know the recipe is a winner, i’ll make a double batch next time and freeze some for quick reheats later. Oh god, these look and sound delicious. 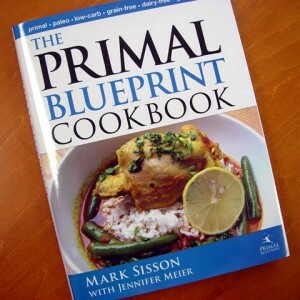 And I love Mark Sisson. In case you haven’t checked it out, his entire blog – Mark’s Daily Apple – is amazing.